70 years, to most of you, will be seem like lifetime, but in actuality most of your grandparents haven't even reached this age yet. As such, they would have been alive at a time when free healthcare was nothing more than a myth, something that politicians debated on repeatedly, much like the current Brexit talks. To them the birth of the NHS would have been something akin to a miracle, especially since it was right after the Second world war, when epidemics and disease were spreading like wildfire, and the country’s doubts and uncertainties were at an all-time high. The NHS was formed on the principle that healthcare should be accessible to people of all walks of life regardless of their wealth. Nye Bevan said ' No society can be legitimately called civilised, if a sick being is denied medical aid because of a lack of means'. During the mid-20th century this would have been an utterly unheard of principle, since much of the economy was heavily supported by the healthcare industry. If the principle of free healthcare was put in place the government would lose huge amounts of economic support, which at the time could have been catastrophic due to war costs. Nonetheless, the government went ahead with their plans and the National Healthcare Service came to be. To this day there have been 100,000 of people who have been saved by the services that are provided to us by the NHS, from emergency care and hospices to care homes for the elderly and life-saving surgeries. The NHS is also at the forefront when it comes to medical research and development, coming up with new and innovative drugs and treatment for patients. The doctors and nurses go through rigorous training courses to insure the organisation is providing effective and safe care to all of its patients. But, despite all this success, our society tends to only look at the downfalls of the NHS, such as waiting lists being too long lack of staff. 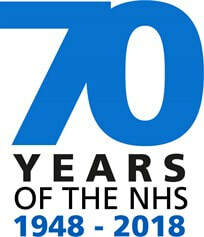 We take for granted the fact that we have the NHS, that we possess free accessible healthcare. As it’s so accessible to us, we forget how valuable it is, and how much we depend on it as patients. The NHS allows us to never have to worry about whether or not we can go to the doctor’s, or if we can afford to. We simply show up, and get treated, no strings attached. There are many nations in the world today that don't offer free healthcare to their citizens, and the UK is one ofthe pioneering counties for free public healthcare. In America, people pay thousands annually for health insurance- something they need to have to simply get looked at in hospital. They pay their hospital bills on top of their insurance. This would be for doctor consultations, bandages, IV drips, or even time in hospital beds - leading to bills that come to thousands of dollars at a time. In Korea, patients are required to pay bills as deposits beforehand and doctors are not required to assist patients that can’t afford to pay. If patients come in unconscious and are treated by hospital staff, patients are required to pay afterwards, and if payments aren't made, can be jailed, even if they did not want the treatment. In some cases those that can afford to get better treatment than others; they can afford luxury, spacious VIP hospital rooms while other are kept in crowded wards. Thus, as a nation we are hugely fortunate to provide a luxury that millions of people across the world can’t even dream of. We have 24/7 care available to us at all times and all patients receive the same care no matter where they come form or what they can afford. In the wake of the 70th anniversary of the foundation of the NHS, we as a nation should celebrate the achievements and development of our health sector. And come to appreciate what we receive as citizens of the UK.